To restart the game at any time, simply reload the page. 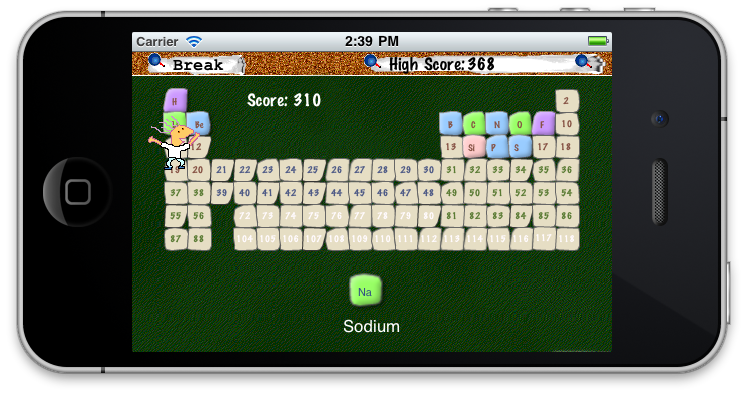 Use the arrow keys to place the element in its rightful place in the Periodic Table of Elements as fast as possible. LEFT and RIGHT arrow keys: To move the element left or right. UP arrow or Spacebar: To move the element all the way up. Shift or Control key: To get hint. Level 1: Elements of atomic numbers 1 to 20. Level 2: Main group elements within 31 to 88. Level 3: Transition metals, 21-30, 39-48, and 72-80. Level 4: Lanthanoids and Actinoids.